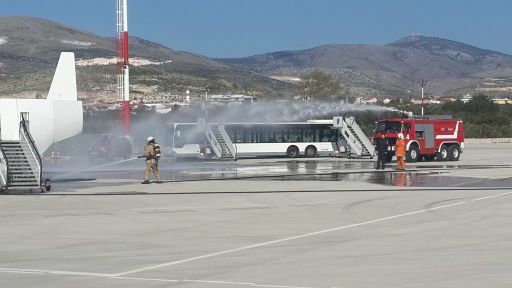 Emergency exercise „Aircraft Accident at the Airport“ was held on 9th April 2015, from 09:30 to 10:20 hours. The exercise included simulation of firefighting and passenger and crew rescuing. 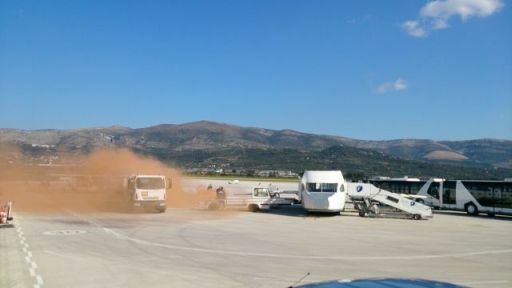 According to the scenario, the spilling of fuel from the tank occurred during embarkation of passengers into aircraft. The fuel leaked on the apron around aircraft, and soon it ignited. Due to flames, the driver was not able to remove the fuel tank immediately. Accident did not anticipate any dead or severely injured passengers. 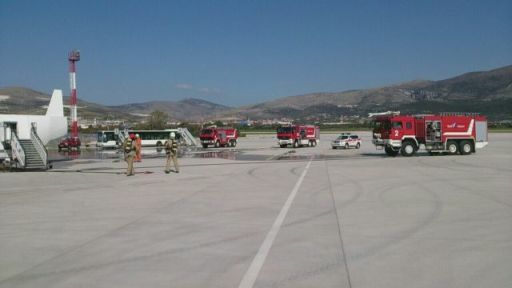 The exercise involved Split Airport and INA Avioservis employees.